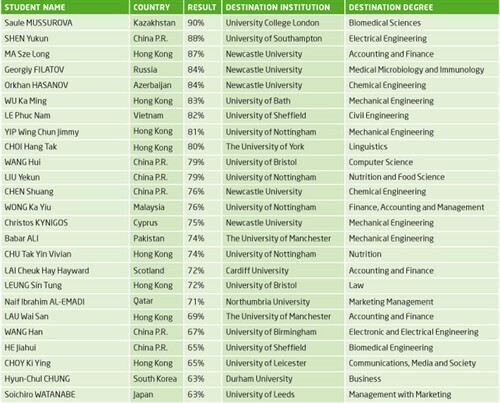 Newcastle University is in the top 20 of UK universities targeted by graduate employers looking for high quality graduates. An INTO Newcastle Foundation Year, Diploma or Graduate Diploma program is your best route to joining the thousands of students who study at Newcastle University every year. Over the last three years, INTO Newcastle University has helped over 1,000 students gain the academic and language skills they need for success at a leading UK university. As part of this vibrant student community you will have access to special interest lectures, musical events, theatrical productions and student markets. You will also have full access to the University’s facilities, including its libraries, sports centre and the students’ union. Newcastle is ranked in the global top 200 universities in both the Times Higher Education (THE) and QS rankings. The THE placed Newcastle 152nd equal overall, and 56th equal in Europe. 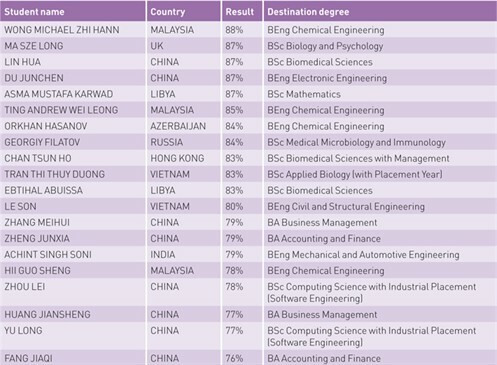 Fewer than 30 British universities appear in the table. The QS table placed Newcastle 140th, a rise of 18 places on the previous year. 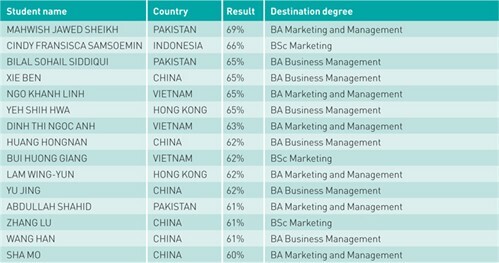 The University is a member of the Russell Group, the association of the 20 leading research-intensive UK universities. We have one of the largest European Union research portfolios in the UK and have research links with many other countries. 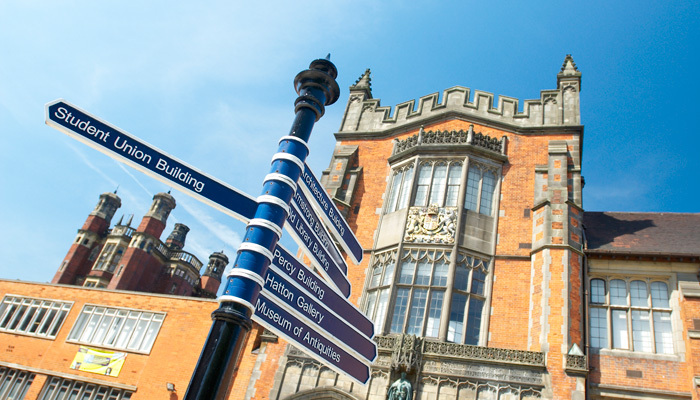 INTO Newcastle University’s academic programs have been carefully designed with the University to help give the highest quality preparation for undergraduate and postgraduate study. We offer a range of programs and courses for international students who need additional support to meet the academic and English language requirements for direct entry to university. Small class sizes, cutting edge technology, countless learning resources, and the very best teachers make studying at INTO Newcastle University both fruitful and fun. We ensure that you will get the individual attention you need during your classes. The INTO Newcastle Foundation program prepares you for direct entry to the first year of an undergraduate course at Newcastle University or at other UK universities. It is designed as a bridge between your secondary school education and undergraduate studies in the UK, and is validated by the University. Progression to Newcastle University is guaranteed, subject to successful completion of the relevant Foundation pathway and meeting the required scores for entry to your selected degree program. For full list of degrees approved for progression, please contact us for a free copy of prospectus. The INTO Newcastle Diploma program prepares you for direct entry to the Second year of an undergraduate degree. It is a full-time academic program in business, and is equivalent to studying the first year of an undergraduate degree. It is quality assured and accredited by Newcastle University. Successful completion of the INTO Newcastle Diploma program (subject to meeting required scores) guarantees direct entry to the second year of a relevant undergraduate business degree at Newcastle University Business School. The INTO Newcastle Graduate Diploma program offers international students who do not qualify for direct entry to the University, a pathway into postgraduate studies. The program prepares students for a wide variety of postgraduate subjects, including architecture and planning studies, business, cross-cultural communication, media studies, heritage and museum studies, geography, politics and sociology. Successful completion leads to the award of the Newcastle University Graduate Diploma (a recognized qualification) and offers an invaluable first step towards obtaining a postgraduate qualification. More than 465 students successfully completed a pre-university program at INTO Newcastle University, with over 270 students progressing to an undergraduate or postgraduate degree programs at Newcastle University. Newcastle University’s wide range of degree programs is reflected in our students’ degree choices, with subject areas ranging from Business Management to Law, Biomedical Science to Drug Chemistry and a broad variety of Engineering degrees.